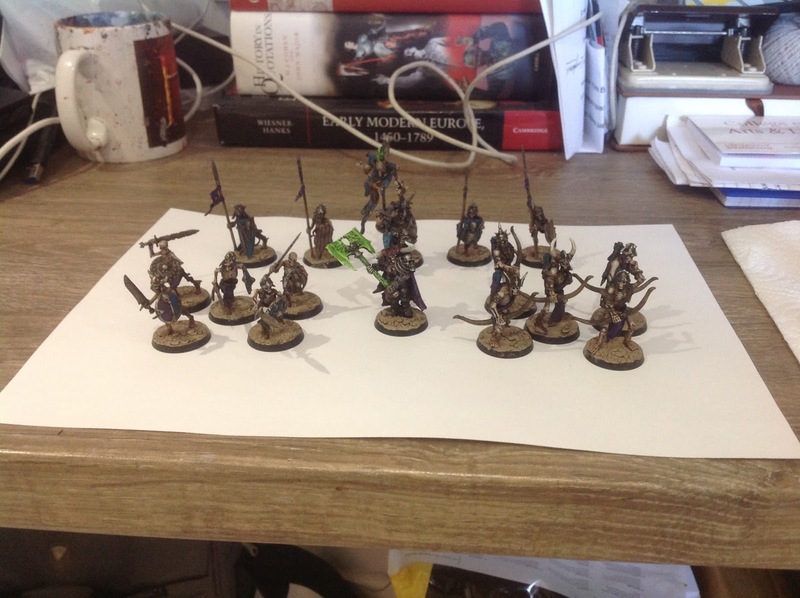 I have been incredibly busy over the past few months but I have managed to get quite a few hobby things done in my spare time (i.e. procrastinating between more important things!). While I haven't managed to work on my Flesh-Eater Court or my Witch-Hunters, I have managed to do plenty of work on side projects. 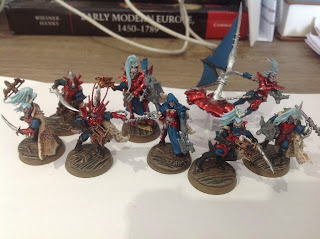 One of my main projects for this year, though smaller than my main army projects, is an experimental Lich Warband which I'm not putting together for any particular reason than wanting to try out some random painting/modelling ideas. The core of the war band are some small groups of skeletal warriors which are nearly done, just the basing and final details to do now. 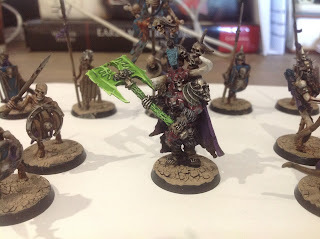 One of my favourite miniatures GW has ever produced is Krell and I decided earlier this year to buy him on a whim, adding him to this project as leader of my skeletons. I even largely painted him like the GW scheme but with minor variations to fit the rest of the war band. 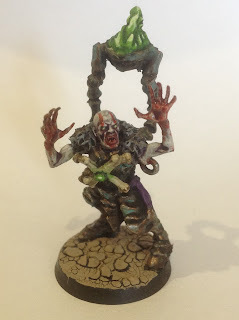 Perhaps my favourite conversion for this project thus far is this random Vampire Priest I cobbled together from spare parts. I wanted him to look like a non-combat orientated character, but more shamanistic than wizardly which I like to think I have achieved. 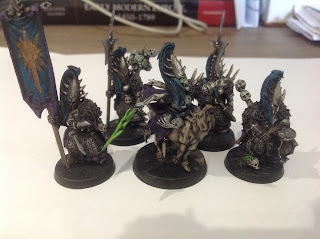 With the Skeletal core of the army almost finished, I have started work on a Command Squad of wights as heavier hitters. This little unit is led by a character I'm currently just calling Lord Famine that I mounted upon a slightly-converted cow from the Giant kit, a piece that I've been wanting to use for ages now. This weird squad is probably most representative of the design philosophy of this project; that being pure creativity and experimentation. I've also managed to get a fair bit done on this Corsair war band for Age of Sigmar which I converted over the summer. It has been quite fun doing something a little different, even if it has admittedly distracted me from more important projects. I've used these miniatures as a test for using Tamiya Clear Red, as I'm currently considering a Horus Heresy project which I might use this colour for. I've also made a load of progress on the Malifaux stuff I ordered over the summer. 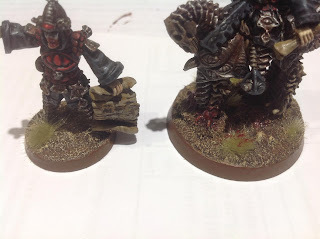 I still have quite a way to go with these miniatures but I'm quite pleased with them thus far. 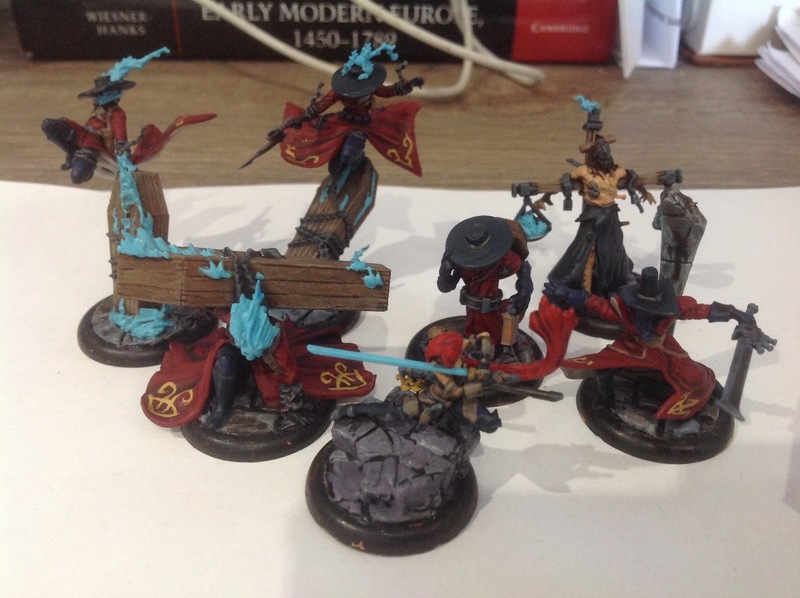 I'm hoping that over the Christmas period I will be able to get my hands on The Jury for this crew as well as get in some of my first games of Malifaux. 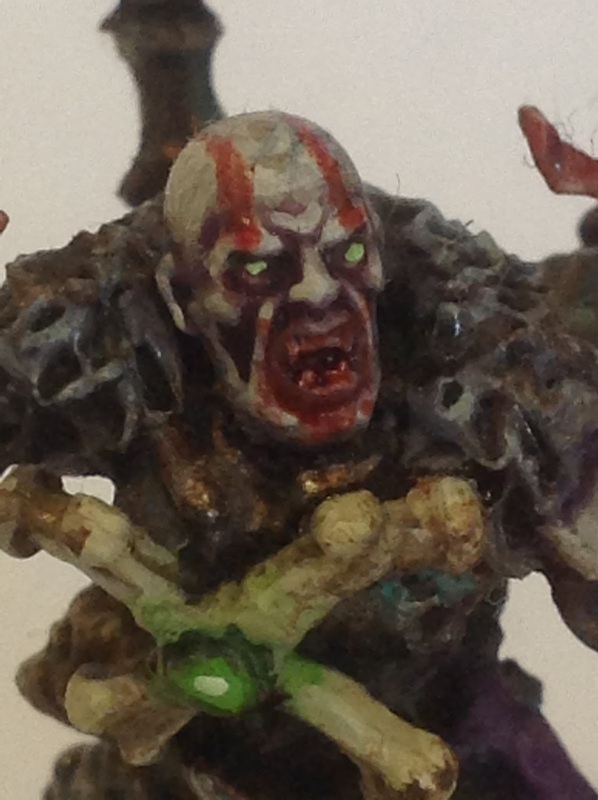 Looking back at my hobby plans for the year, I realise that I have had mixed results thus far to say the least. I'm hoping that by the end of the year I will have managed to finish off the three projects mentioned above as well as get some other stuff done as well. After buying the Malifaux stuff in September I decided not to buy anymore miniatures until I had gotten more of my unpainted stuff done as I seem to have entered a never-ending cycle of starting new projects without finishing old ones while continuing to ignore my Tomb Kings. At the start of next year I shall do a 'year-in-review' post and we shall see how successful I have been!